"You [the United States] and your agents are the source of instability in the Middle East… Who created Islamic State? 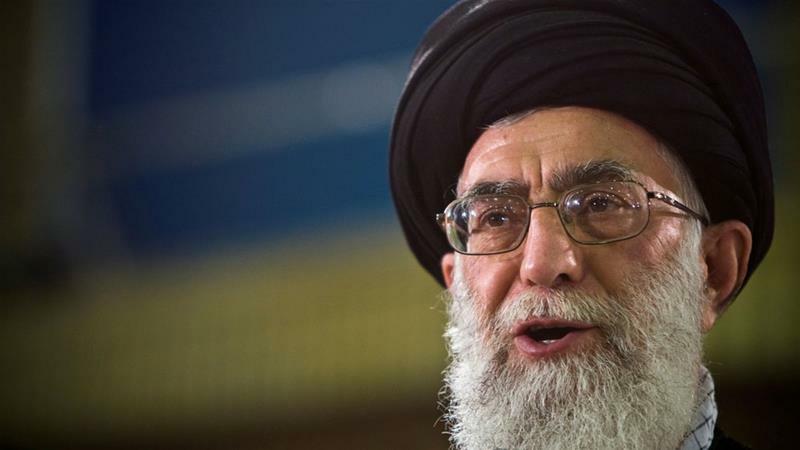 America... America's claim of fighting against Islamic State is a lie," Khamenei said on Monday in a meeting with high-ranking Iranian officials, according to his official website. The pragmatist president championed a nuclear deal with the United States and five other powers in 2015 that led to the lifting of most sanctions against Iran, in return for curbs on its nuclear programme. But the deal has not led to normalisation of ties between the two countries that Rouhani hoped for. Trump has frequently called the agreement "one of the worst deals ever signed" and said Washington would review it. "The American government is against an independent Iran... They have problems with the existence of Islamic Republic of Iran… Most of our problems with them cannot be resolved," the semi-official Fars news agency quoted him as saying. "America is a terrorist country and backs terrorism ... therefore, we cannot normalise ties with such country," he said.